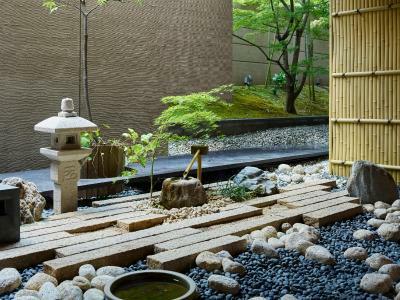 Lock in a great price for Mitsui Garden Hotel Kyoto Shijo – rated 8.2 by recent guests! Spacious rooms. Clean and basic. Free massage chairs and public bath/onsen. Good location, within a few minutes walk to the metro. Also close to a major area for restaurants and local shops. The staff was very attentive upon arrival and in answering questions as best as they could. They helped us with a baggage transfer to Tokyo. They were responsive with questions before we arrived. The rooms were located next to each other and were non smoking as requested. The location is very good, made visiting important sights very easy by train or bus. Nishiki Food market was a short walk away. The property was very clean. The Japanese breakfast was very good to start the day with. The other facilities in the hotel - relaxation chairs, public bath, etc after a long day was relaxing. Overall, a very good choice for a stay in Kyoto. Really enjoyed the hotel. The lobby was really nice and the bedroom amenities were great. We really enjoyed our stay, and could not beat the price! The bath size are bigger than ‘normal’, average Asian body size can sit and make legs stright. Location was great for who have interesting in center of tokyo sightseeing, and near by Halal japanese restaurant. Allowed for children entry (under 6years old without any hassle. This was great). Give some amenities for children (even though it’s not per head). Setting for lobby waiting area was quite interesting and clean. Just acceptable for 4star hotel. The staffs were professional and reliable.They brought my luggage out during check-in without me reminding them. (I sent my luggage to the hotel 2 days ago from Tokyo). Hotel is great and the room is clean. The fact that the hotel has a public hot bath is a bonus. The night view is awesome from our room. The room was very spacious. It was clean and the staff was friendly! It’s nearby but not that close to the station so it’s a little inconvenient. But overall it’s not bad. The staff is good as well. 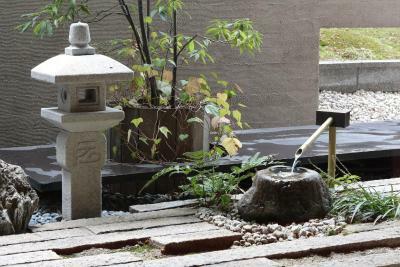 Mitsui Garden Hotel Kyoto Shijo This rating is a reflection of how the property compares to the industry standard when it comes to price, facilities and services available. It's based on a self-evaluation by the property. Use this rating to help choose your stay! 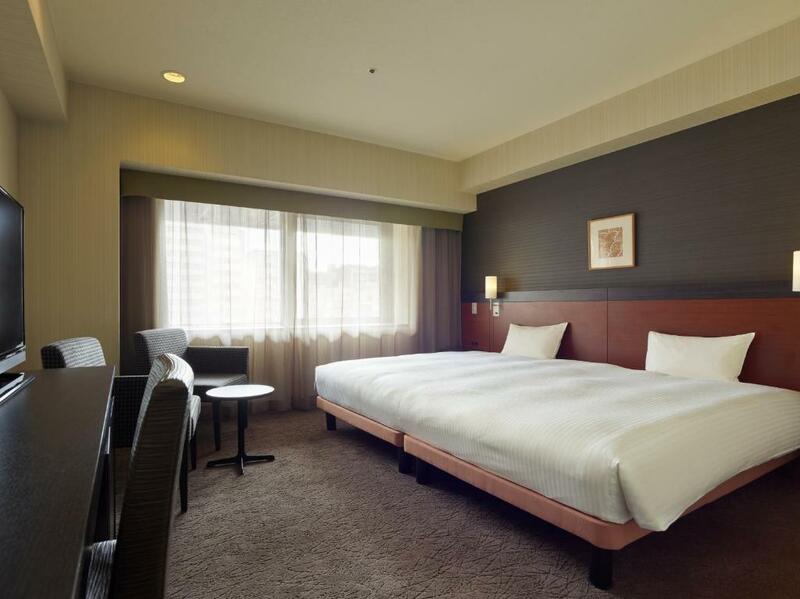 One of our top picks in Kyoto.Mitsui Garden Hotel Kyoto Shijo is located in Kyoto, 1,950 feet from Karasuma Station. It offers modern accommodations with a public bath, a restaurant and rooms with free WiFi. Shijo Station Exit 2 on the Karasuma Subway Line is a 6-minute stroll. Guestrooms offer both air-conditioning and heating facilities. Each room is equipped with a fridge, an electric kettle with tea bags and a flat-screen TV. Free bath amenities, tooth brush sets and slippers are also provided. Massage services are available upon request. Laundry and dry cleaning services are offered. Guests can purchase beverages from the drinks vending machine on site. The on-site restaurant serves a daily buffet breakfast. Kyoto Shijo Mitsui Garden Hotel is 0.9 mi from the historical Higashihongan-ji Temple and Nijo Castle. When would you like to stay at Mitsui Garden Hotel Kyoto Shijo? Room features a seating area. Each room is equipped with a fridge, an electric kettle and a flat-screen TV with on-demand films. All rooms offer both air-conditioning and heating facilities, free wired internet and an air purifier/humidifier. Free bath amenities, tooth brush sets and slippers are also provided. Twin beds with one extra bed. More spacious room. Features a double bed (55 in wide). Please note, room cleaning and toiletry replacements will be provided only for guests staying 3 nights and longer, once every 3 nights. Daily towel replacements, waste disposal and ashtray cleaning are provided.